Michael J. Williams was born on 12 July 1943 in Baltimore, MD. He enlisted in the U.S. Navy in 1960 and was commissioned a Second Lieutenant in the U.S. Marine Corps upon graduation from the U.S. Naval Academy with a Bachelor of Science degree in June 1967. He also holds Masters Degrees from the University of Southern California (1974) and the College of Naval Warfare. He was promoted to First Lieutenant on 7 September 1968 and upon completion of Naval Flight Training at Pensacola, FL, he was designated a Naval Aviator in February 1969. Promoted to Captain on 1 February 1971, Williams served operational tours in both the continental U.S. and the Republic of Vietnam before being ordered to the Marine Corps Amphibious Warfare School, Quantico, VA, in 1973. Upon graduation in June 1974, he served on Okinawa, Japan with the 1st Marine Aircraft Wing. Returning to the U.S. in the summer of 1975, Williams joined Marine Helicopter Squadron 1 at Quantico. There, he was designated a Presidential Helicopter Pilot while serving in various positions with the Squadron. He was promoted to Major on 1 August 1977 and in July 1978, he was selected to attend the Marine Corps Command and Staff College, Quantico. Following graduation in June 1979, Major Williams was ordered to the U.S. Naval Academy at Annapolis, MD, where he served as a Company Officer and Executive Assistant to the Commandant of Midshipmen. He transferred to the 3rd Marine Aircraft Wing, El Toro, CA, in July 1982 for duty as Executive Officer of Headquarters and Maintenance Squadron 16; and later as Commanding Officer of Marine Helicopter Training Squadron 301. He was promoted to Lieutenant Colonel on 1 October 1982. From June 1984 until June 1985, Williams attended the Naval War College, Newport, RI. Following graduation, he was ordered to the 3rd Marine Division on Okinawa, where he served as the Assistant Division G-3. Returning to the U.S. in the summer of 1986, he reported to Headquarters Marine Corps, Washington, DC, for duty as the Marine Corps Program Development Officer, and later the Head, Program Development Branch, Requirements and Program Division. He was promoted to Colonel on 1 October 1988. In July 1989, Colonel Williams transferred to the 2nd Marine Aircraft Wing at Cherry Point, NC, as the Wing Inspector before assuming duty as Marine Aircraft Group 26, Executive Officer in April 1990. He then assumed command of Marine Aircraft Group 26 (MAG-26) on 16 July 1990. He deployed MAG-26 to Saudi Arabia to participate in Operations Desert Shield and Desert Storm, returning to the U.S. in May 1991. He was assigned duty as the Vice Director for Operational Plans and Interoperability, J-7, and Vice Director, Joint Staff for Military Education, The Joint Staff, in November 1991. 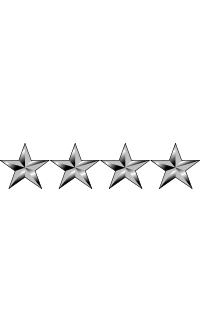 While serving in this capacity, he was selected for promotion to Brigadier General in December 1991, and advanced to that grade on 1 April 1992. Williams served in that capacity until 16 July 1993, when he assumed command of 2nd Force Service Support Group (2nd FSSG). On 8 June 1994, he was appointed Commanding General, Joint Task Force 160, a humanitarian relief effort for Haitian and Cuban migrants at Guantanamo Naval Base, Cuba. He resumed command of the 2d FSSG on 31 October 1994. He was advanced to the grade of Major General in March 1995 and in July was appointed Director of the Marine Corps Staff, Washington. He was assigned on 23 July 1996 as the Commander, Marine Corps Systems Command, Quantico. 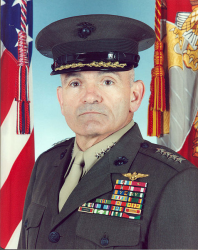 He was promoted to Lieutenant General on 5 August 1998 and served as the Deputy Chief of Staff, Programs and Resources, Headquarters, Marine Corps, Washington. Williams became the Assistant Commandant of the Marine Corps on 8 September 2000 and was advanced to the four-star rank of General on 1 November 2000. 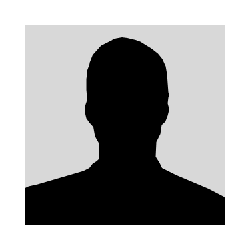 He served as Assistant Commandant until 9 September 2002. General Williams retired from active duty in November 2002.